Sephora VIB Sale + Recommendation Kits — Beauty and Etc. As we call know the Sephora VIB Sale 2018 Event will be here sooner than you know it (dates below). I’ve been a Sephora VIB Rouge member for quite a few years and this time of the year for a skincare lover like my self is like Christmas. Over the years I’ve had many people ask me what they should pick up during the sale. Check out my suggestions below. Rouge members are allowed to get first access with a 20% off discount from October 26-29 and November 2-5 code ROUGEBONUS. Insiders and Non-BI (yes, even NON BI members) can get a 15% off discount from November 16-19 with promo code BIBONUS. What is in my shopping cart?…. During the time of the VIB Sale I would usually go a little crazy. But after many years of purchasing things, I have a method to what I purchase and why. At this current time I have a pretty good stock on the majority of my skincare items (cleanser, masks, serums and etc.). Therefore, I’ll be using this time around to get products that are pricey that I know will need to be replenished soon. As of right now my list is pretty short and I’m hoping not to add any additional items. I absolutely love the Drunk Elephant Baby Facial Mask (full review) and this lovely kit comes with the full size mask and minis of the Jelly Cleanser, B-Hydra, Virgin Marula Luxury Facial Oil and the Lippe Balm. I’ve tried everything in this kit with the exception of the Lippie Balm and I’m looking forward to trying this out! I’ve been using this Hair Perfector for the past few months and I really can see a change in my hair. The Hair Perfector is not a mask, but more of a treatment that helps to reduce breakage. The only down fall of the Olaplex No.3 is that its only 3 ounces in size and costs $28! It doesn’t last very long. I jump at the opportunity anytime that I can get it at discounted rate. This will be my 3rd time purchasing it. I’ve been purchasing the Dior Lip Glow for yearsss. I absolutely love it! I’ve had many people on Instagram ask me thoughts on this lippie. When I originally started purchasing them they only came in 2 shades. Now the range has increased to various colors and finishes. Personally I love the Coral and Berry Glow Shades. 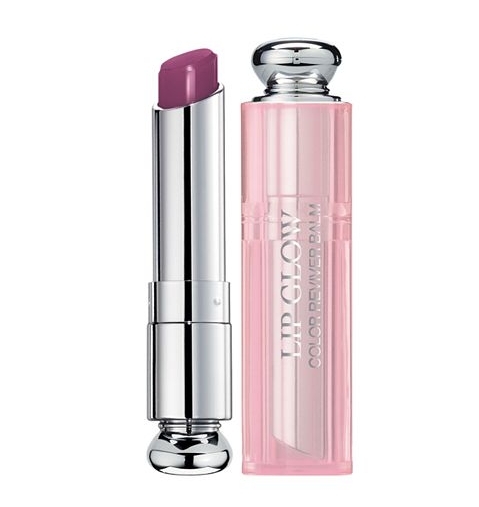 The texture and finish is very comfortable and hydrating on the lips. The finish is not sticky or too thin of a consistency. It one of those items that once you try it out, you’ll keep purchasing it. I purchase about 1-2 per year. I’m somewhat of lipgloss lover and rotate between many glosses at a time. This factor has helped me to extend the usage of the gloss. I recently redeemed 100 points online from Sephora for a mini sample size of the Commodity Velvet Travel Size fragrance. The scent is described to be unisex with notes of roasted almond, rose petals, and black amber. If you like Replica’s By The Fireplace scent or the Elizabeth and James Bourbon scent, then you would probably like Velvet. A little of the fragrance goes a long way and lasts a really long time on my skin. As I’m currently trying to dwindle down my fragrance collection, I’m currently only purchasing smaller size bottles or travel sizes of scents. This is also a great way to get a head start on some of your holiday shopping! I Would highly recommend purchasing kits as you get more for your money in comparison to purchasing one item one its own. These kits will also allow you to try out new products. As mentioned in my Product Empties - October post, this Sunday Riley kit is a great way to get started with anti-aging skincare. I purchased this kit several VIB sales ago and I’ve been using the both products every since! I purchased this kit a few years back and it started my obsession with the Tatcha brand. I absolutely love the Water Cream so much that I devoted a whole blog post to it (click here). The Rice Powder is a great everyday exfoliator as it is very gently. The contents of the package will last a couple of months depending on how often you use the products. I love that all of the items from the brand are considered to be clean skincare and formulated with anti-aging properties. I’ve been interested in trying out Herbivore products for a little while now. Due to the influx of products that I currently have in my stash, I’m holding off on purchasing new kits. I’m hoping to purchase this kit or one of their other introductory kits in the months to come. I, along with almost everyone else, love the the Laniege Lip Sleeping Mask. I’ve recently started using the Waterbank Moisture Cream and its very light weight- but hydrating. The sleeping mask is on my list to purchase in the future. This a great kit the would be suitable to so many different people. Also the Water Sleeping Mask and the Lip Mask are both full size products. The lip sleeping mask alone makes a perfect gift or even for yourself. It’s also a great size and guaranteed to last a pretty long time. The Farmacy the Mighties Kit is a great way to test out some of the popular products from the brand. I tried the Honey Potion (Review Here) and I really loved. The Green Clean makeup meltaway cleansing balm is gentle but yet still effective at removing make-up. This is a kit that I will like to purchase in the future. These kits are such a great way to try high end mascaras. Think about it, most mini mascaras are anywhere from $10-$15 each!. The kit itself comes with 5 mascaras and comes with an in-store certificate to redeem for one full mascara that is included in the kit. These kits are constantly being switched up with different brands. This would make for a great for someone who loves mascara or even for yourself! I would also do my due diligence in terms of pricing. Some of the kits that are mentioned on Sephora’s website are only sold online and only sold through them. Many of these brands have great first time offers to customers who sign up for their mailing list. The incentive is anywhere from %10-%15. Don’t fret if you’re not able to purchase everything you want. I would highly recommend purchasing them items you feel the are essential and are interested in trying out that won’t break your bank. The FINAL Sephora VIB Sale 2018 is actually in December. In the past years members would receive a $20 off $50 gift certificate to VIBs in December. I’m looking forward to doing more of these gift guides/ recommendations. If you would like me to do a specific one, please comment below!